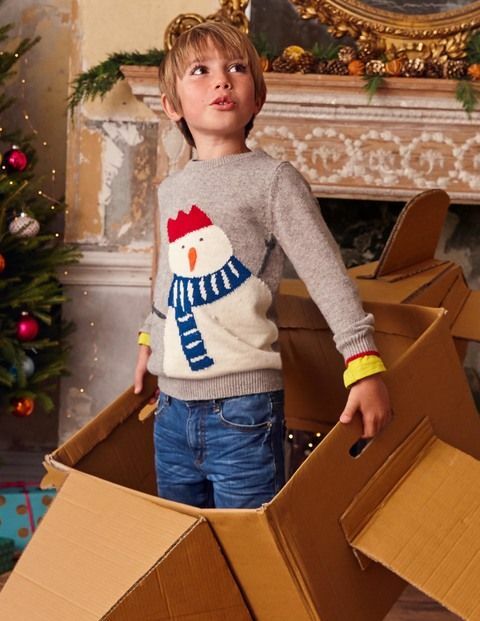 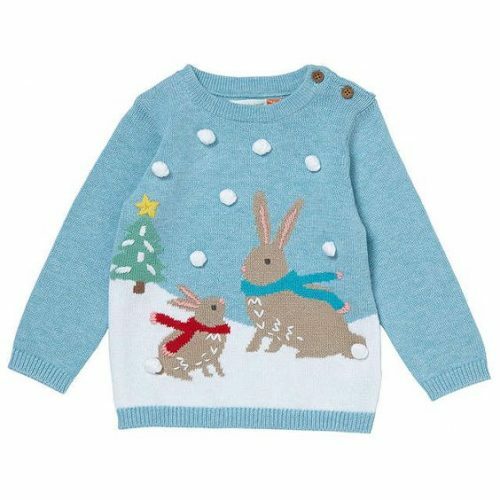 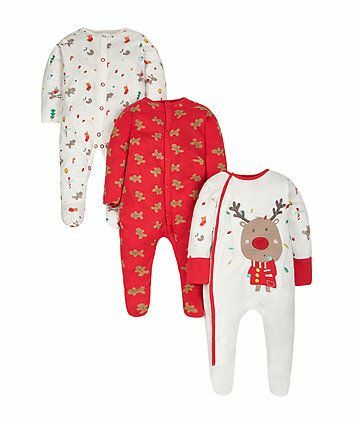 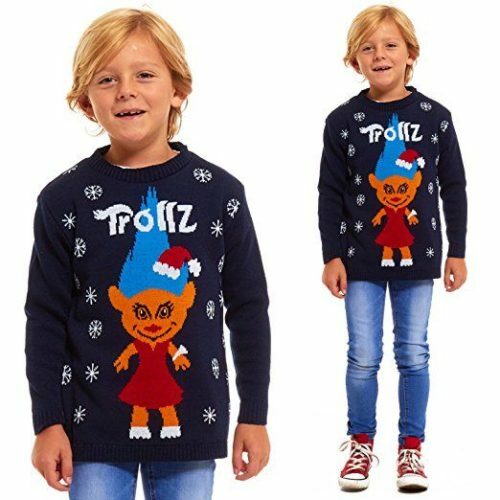 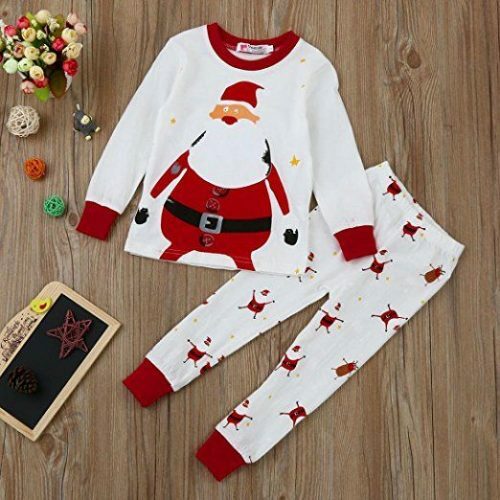 It’s the most wonderful time of the year for little boys and girls everywhere, so add to the magic of the season with a Children’s Christmas jumper. 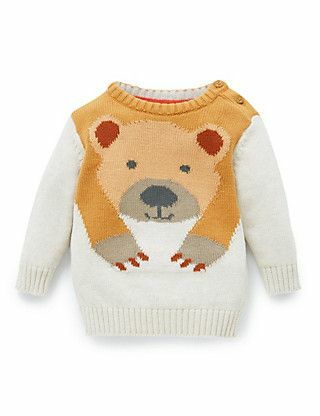 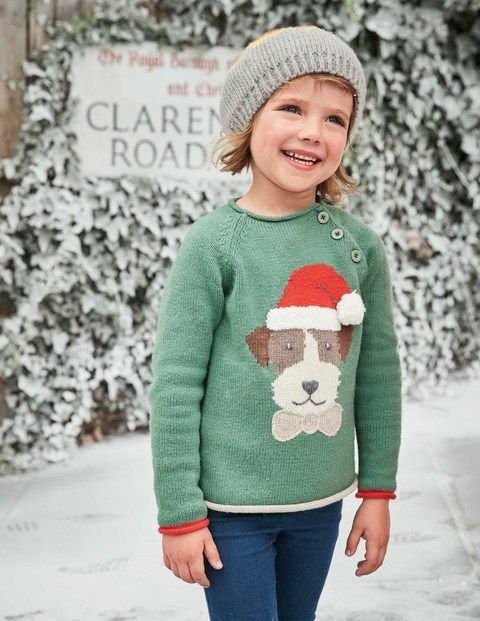 From cute prints to fairisle knits we have a grand collection of jumpers for boys and girls of all ages – from babies to teenagers. 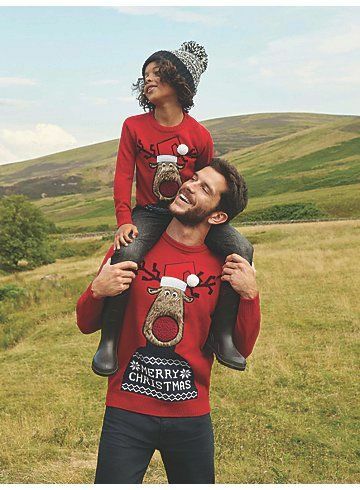 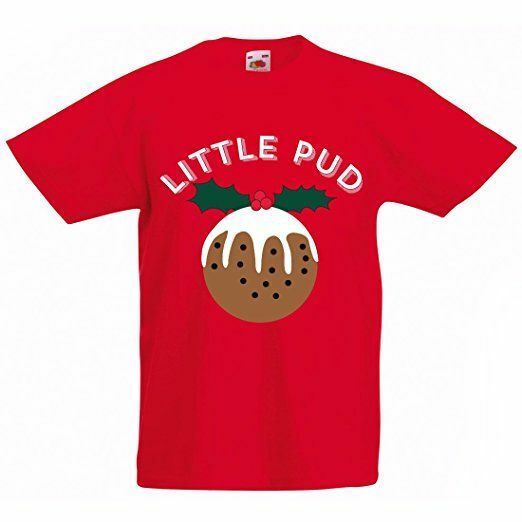 Step into Christmas with festive jumpers for the whole family. 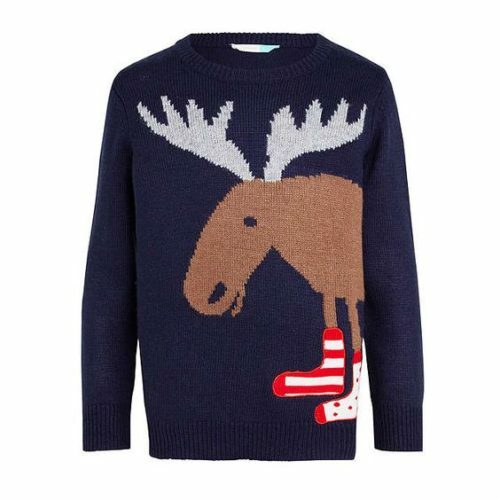 OK, so we’ve established that we’re Christmas Jumper crazy at www.merrychristmasjumpers.co.uk. 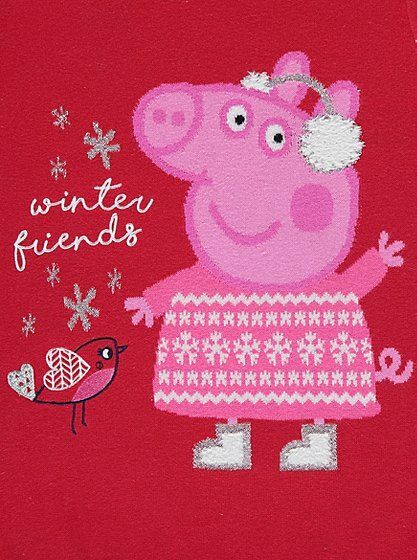 Who isn’t!? 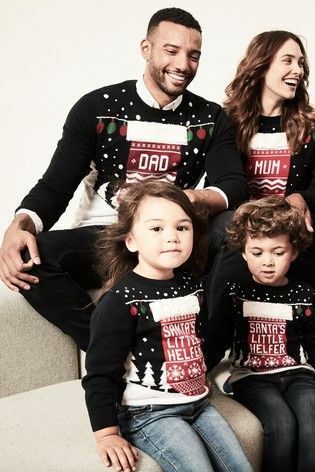 They’re cute, funny and make Christmas extra special. 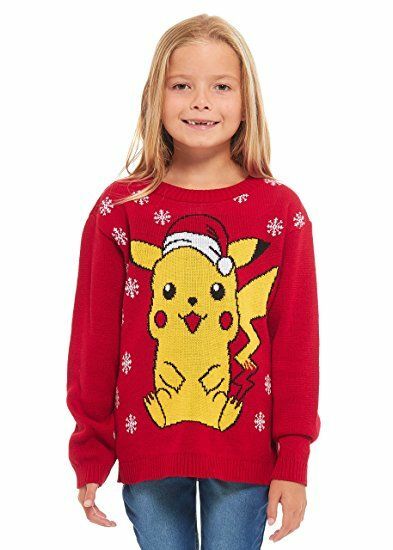 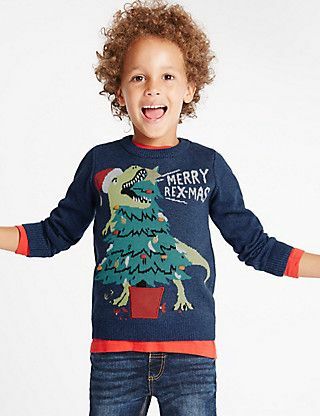 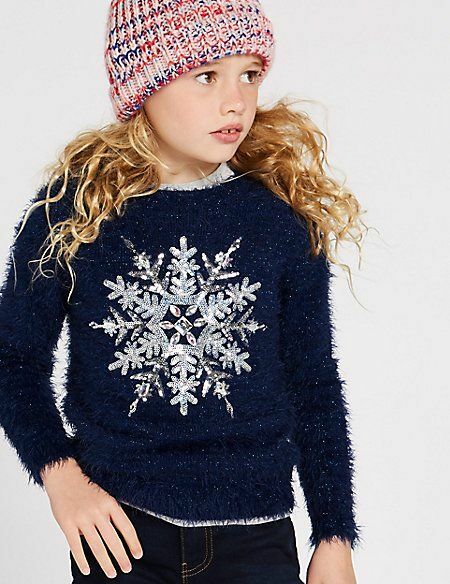 So just imagine how we feel about kids’ Christmas jumpers. 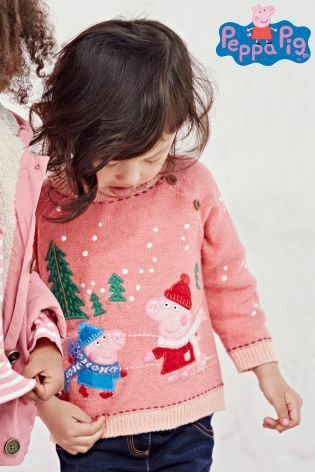 The little people that are cute, funny and who make Christmas extra special are double cute, funny and special when togged up in their Christmas jumpers! 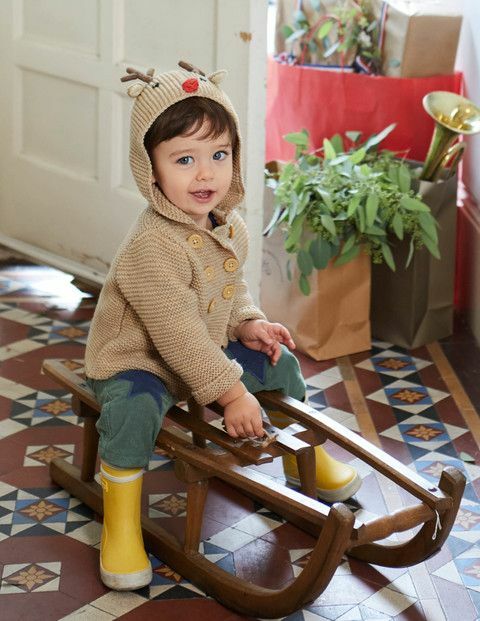 Our own little bambinos love wearing theirs so much that they wear them every day all through December. 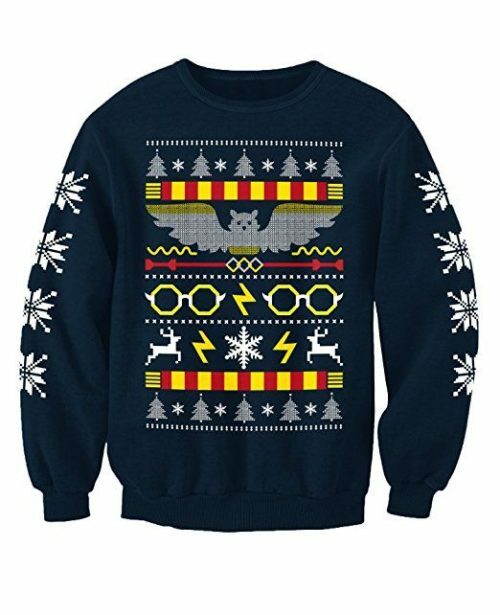 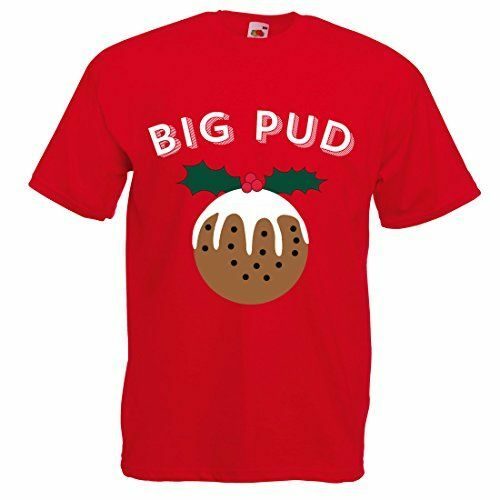 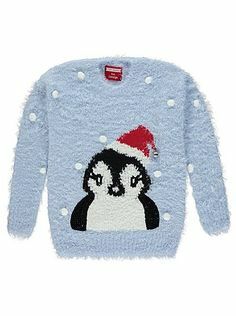 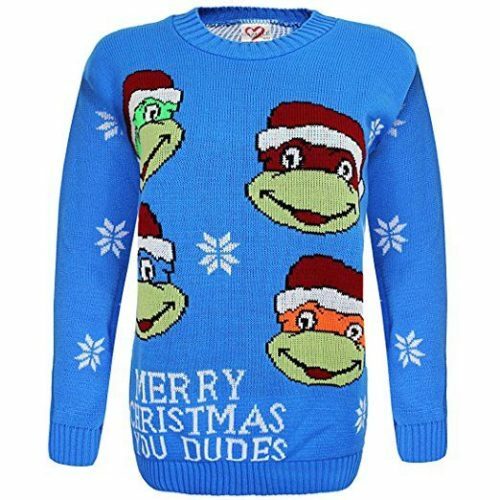 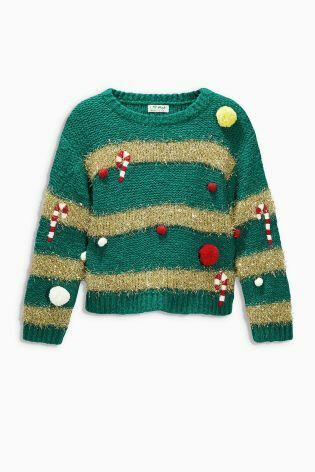 So with that much wear it makes that Christmas jumper a worth while buy! 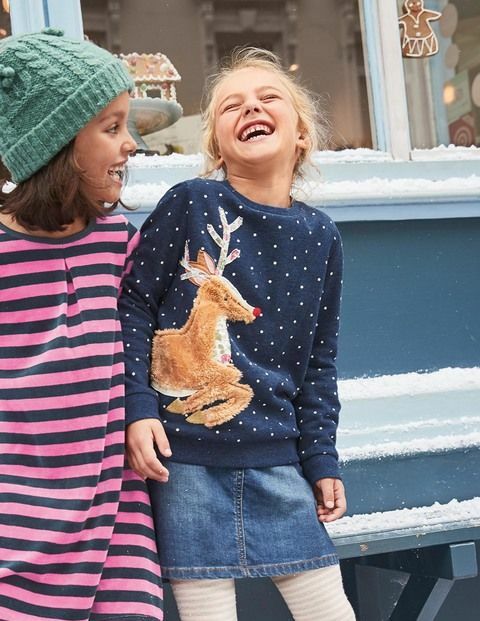 We’ve found a whole host of kids’ Christmas jumpers and asked our own little munchkins to pick out the best of the bunch. 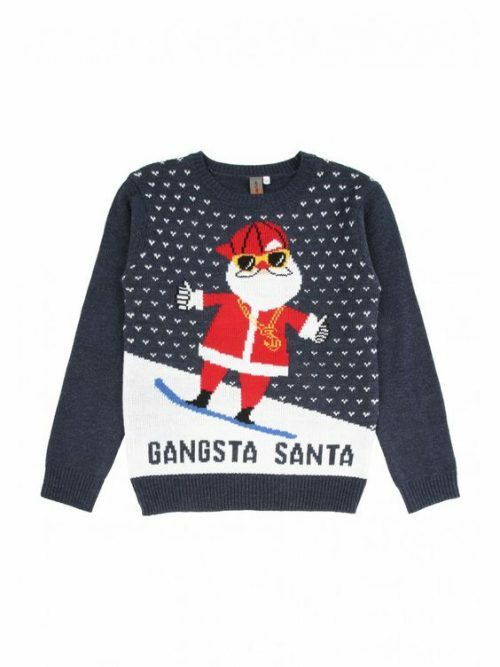 So you can shop our children’s Christmas jumper collection knowing that it has been approved by the toughest Christmas customers out there! 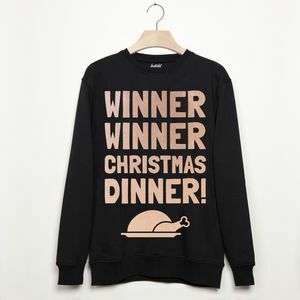 So, happy Christmas jumper shopping and MERRY CHRISTMAS! 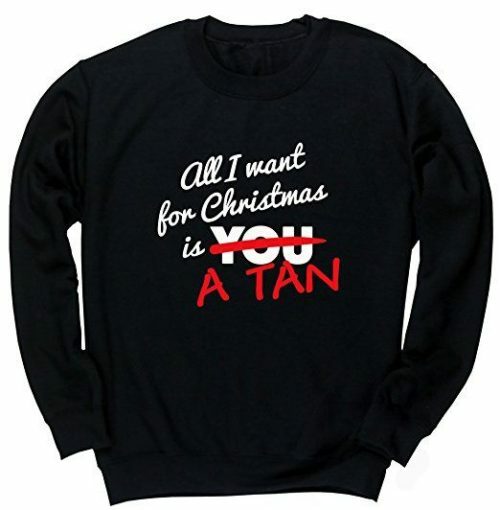 All I want is a tan! 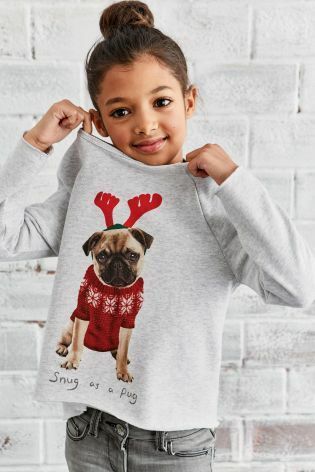 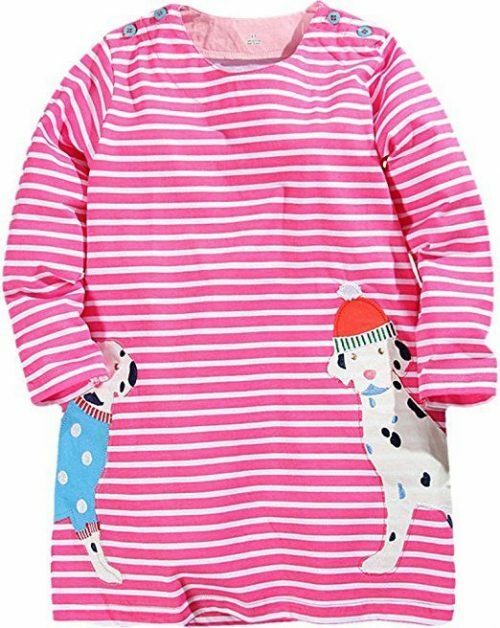 Kid’s jumper featuring a pug dog wearing a Christmas jumper and wearing a reindeer head band. 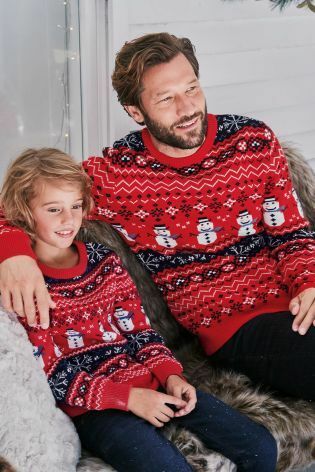 OK so they are not Christmas jumpers. 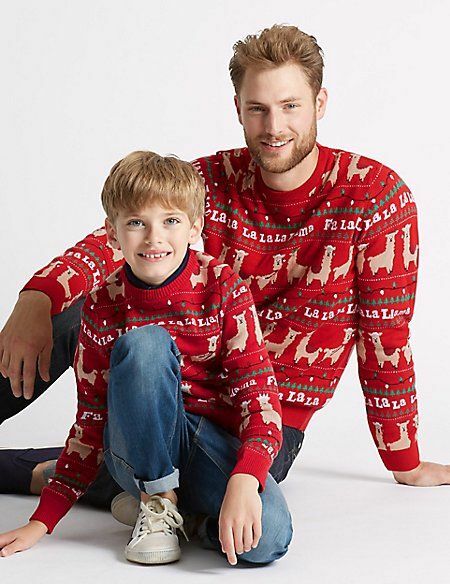 Hey they are not even jumpers. 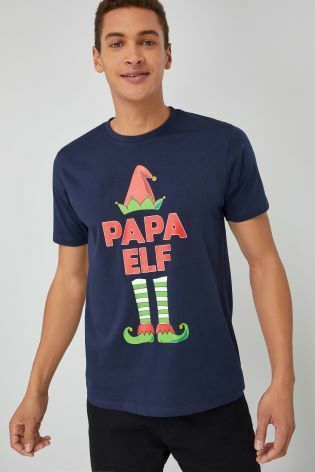 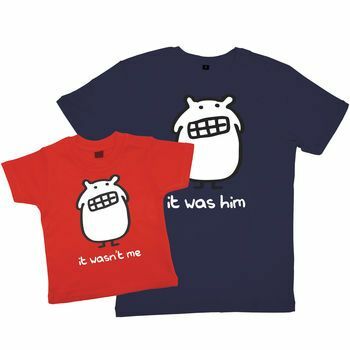 But, we do love these – “It wasn’t me, It was him” father and son matching t-shirts. 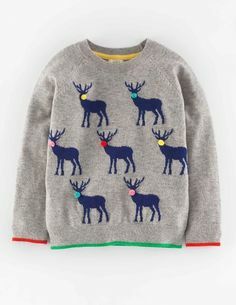 Children’s jumper from Next. 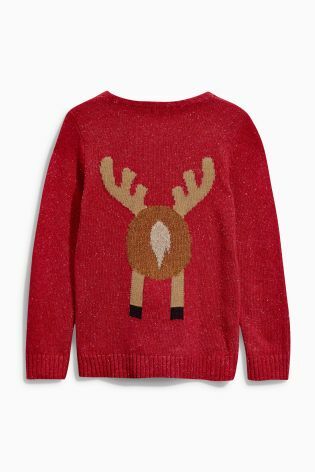 Simple red jumper with a reindeer motif and a stonking great pom-pom for a nose This jumper has detail on the back too. 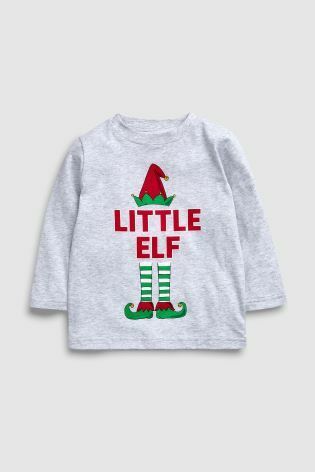 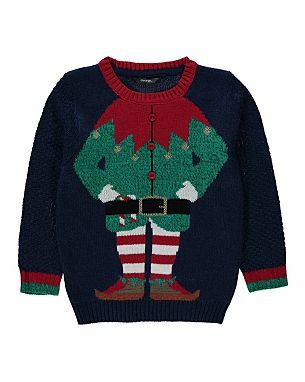 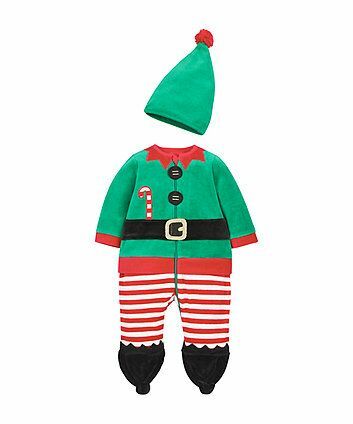 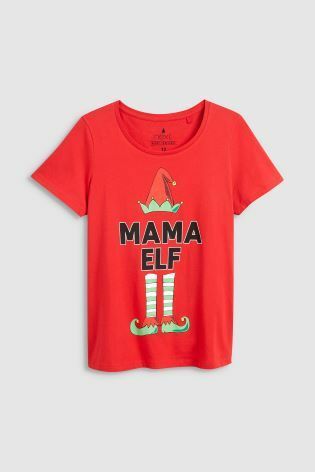 Imagine how cute this jumper will be with your little elf’s head poking out of the top. 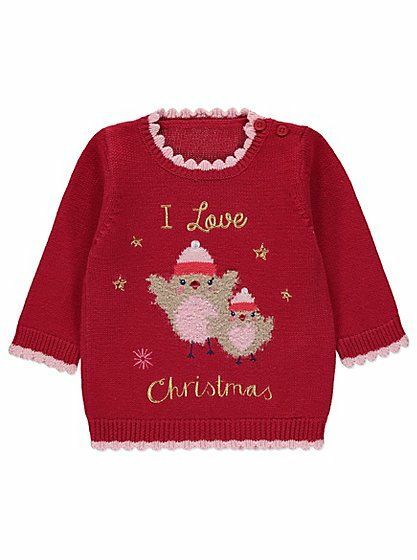 A fun a great value jumper from Asda. 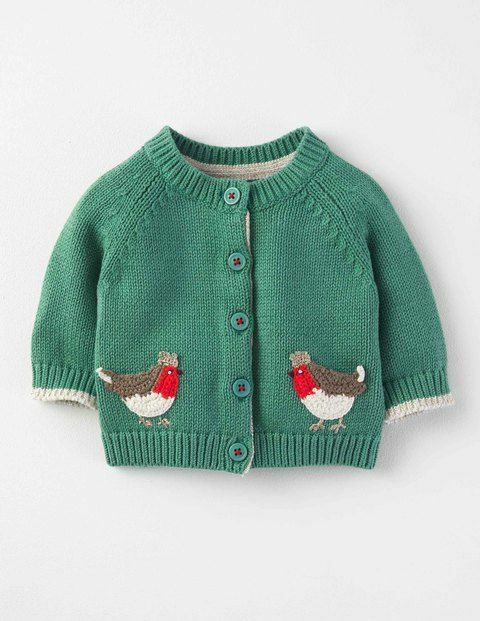 Teal seasonal jumper for your mini fox. 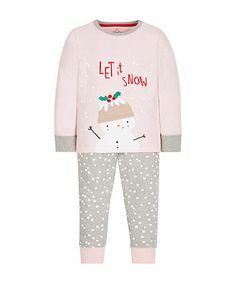 Designed by Donna Wilson exclusively for John Lewis. 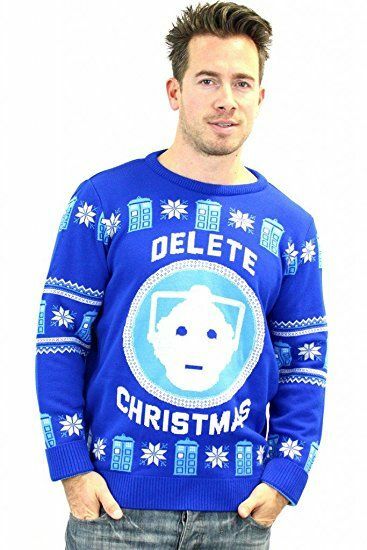 Perfect christmas present. 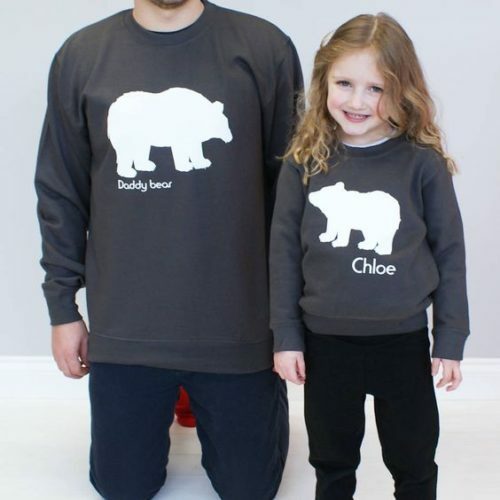 Individually made to order (not just for Isaacs!). 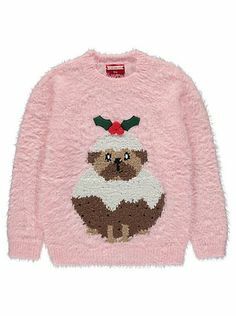 Choose any name. 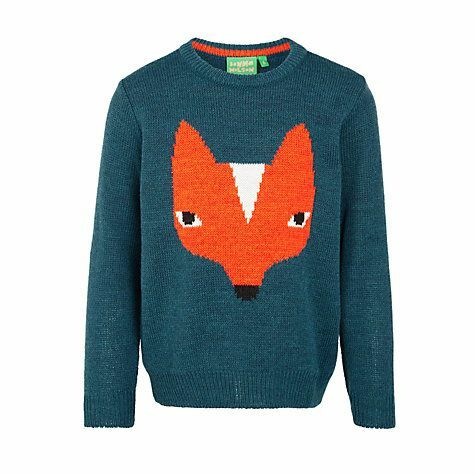 Pick from a variety of colours. 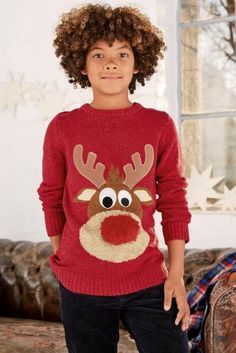 Kid’s hooped Christmas jumper in green and gold. 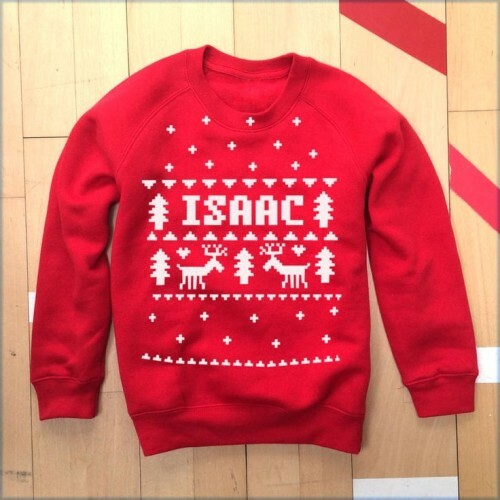 The jumper has candy canes and other goodies embroidered on. 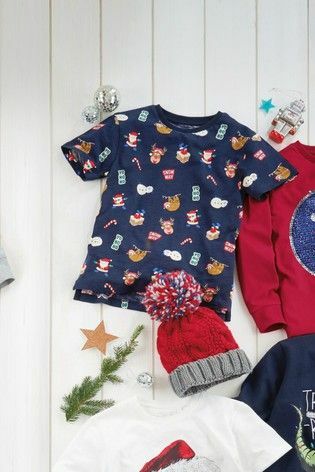 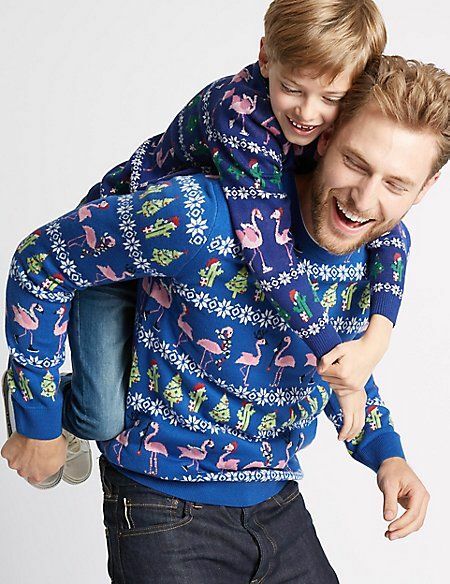 Christmas jumpers for 1 to 7 year olds. 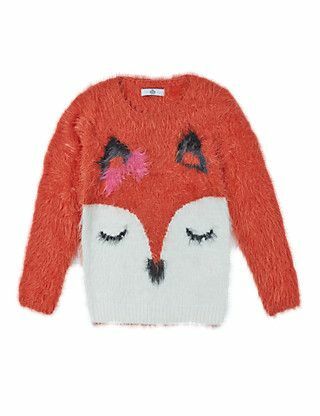 Orange fox jumper with facial details. 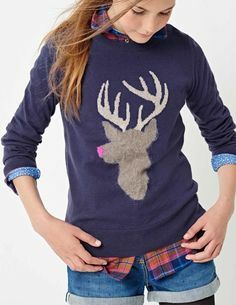 Blue jumper with fluffy reindeer detail.